The cowboy is one of my all time favorite heroes. 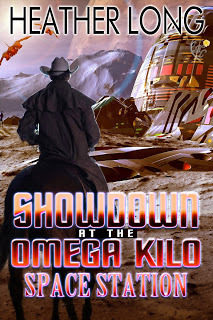 From the ranges of the old west to the deepest, darkest parts of space, the cowboy is a hero for the ages. My love of cowboys was one of the reasons I started writing my Fevered Hearts, Space Cowboy, and now my Lone Star Leathernecks series. Cowboys have mystique that pervades the American culture. Their legendary status of the cowboy riding off into the sunset is as iconic as the days gone by of the old west where they rode. Real cowboys did exist, their reputations were only enhanced by the tales and penny novels written about them. Hell, some of my favorite cowboys are fictional cowboys. In Marshal of Hel Dorado, we met the lawgiver cowboy, Sam Kane. The Marshal’s extended family provides a wide array of cowboys to choose from including the noble and loner cowboys. You know the type? He’s the Adam Cartwright (Bonanza), the Heath Barclay (The Big Valley), the Rowdy Yates (Rawhide). He actually works with cattle, he sleeps under the stars and he works with his hands. He’s the prototypical cowboy who relies on his wits, his strength and his skill to survive against the odds and to bring his herds in. 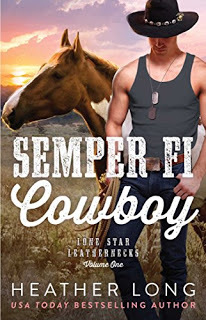 In my new Lone Star Leathernecks series, Tanner Wilks is the noble cowboy. He served his country with distinction as a Marine, and even though he doesn’t want to leave his career he returns home to the family ranch to protect it and his father when his father falls ill. Tanner will stand up for his people, his family, and his friends. Have you lasso’d your copy? A second prototype, the loner is a drifter who wanders around the periphery of others. He avoids the company of other men or limits his contact to just a few. He’s often viewed with suspicion or mistrust, no one is ever quite certain of his motives, but that is because he comes from a troubled past. But the loner keeps his secrets close to his heart, fiercely protective of that small handful he lets into his life and when the time is right, he is ready to step up as the hero he was meant to be. Clint Eastwood excelled as the loner cowboy. In Space Cowboy Survival Guide, Shaw is very much the loner. He’s traveling through the cosmos to save his family ranch. Can you be a cowboy with a ship instead of a horse? I think so. Of course it helps that Shaw has his own horses as well. Shaw’s adventure continues in Showdown at the Omega Kilo Space Station.